So, you’re a priest who believes he has discovered the impending birth of the Antichrist, to take place somewhere on the mean streets of Madrid. What do you do? 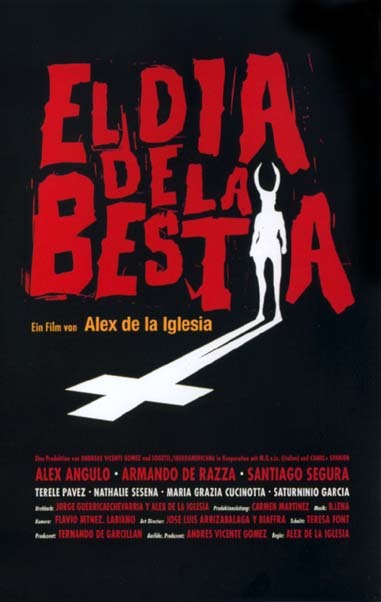 Well, if you are the maverick cleric and theology professor Father Ángel Berriartúa (Álex Angulo) in Álex de la Iglesia’s horror-comedy El Dia de la Bestia, you resolve to commit as much evil as you possibly can in the time you have remaining, in the hopes that you are recruited into the vast worldwide Satanist conspiracy so you can wreck it from within. The problem is that, having lived such a good life up to this point, Cavan isn’t so hot at this “sin” thing – oh, he can do obvious stuff like stealing people’s luggage, robbing beggars, and pickpocketing a dying man and telling him to go to hell whilst pretending to give him the last rites, but what if this only qualifies as mere criminality? 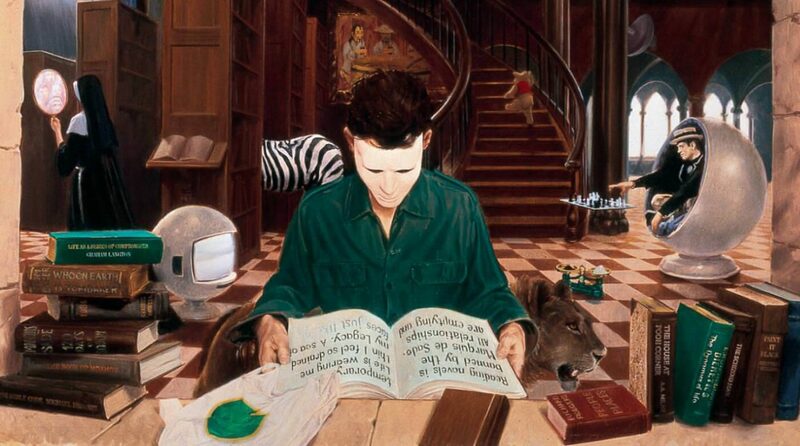 Deciding he needs to delve into more occult sources, Ángel pops into a heavy metal store to see if there’s any handy backwards messages on the albums which could point him in the right direction. In doing so he meets José María (Santiago Segura), the death metal fanatic store clerk who’s able to help Ángel get a room in the hostel his mother (Terele Pávez) runs and who Ángel draws into his search for the Devil. Realising they don’t have time to mess around – it’s Christmas Eve, after all, the perfect day for the Antichrist to come into the world – Ángel comes to the conclusion that they need to stop messing about and go direct to the source by summoning Satan himself. To do that, of course, they need the help of a genuine sorcerer; convinced that television psychic and massive charlatan Professor Cavan (Armando de Razza) is their man, and equally convinced that he won’t help them voluntarily, Ángel and José María initiate an audacious plan to force Cavan to summon the Devil on their behalf.